You're going to have a tough time tracking down the legendary buck in Red Dead Redemption 2, but this guide will show you how to do just that. You're going to want to be careful when tracking down the legendary buck of Red Dead Redemption 2, as it'll scatter at the first sign of danger. In our Red Dead Redemption 2 legendary buck guide, we'll be compiling all the details you need to know about the rare creature before you head off to find it in the wilderness. But if you instead need any additional information relating to Rockstar’s wild west prequel, you can head over to our Red Dead Redemption 2 guides hub. It’s here that you can find our complete beginner’s guide to the game, list of essential tips and tricks, and much more. 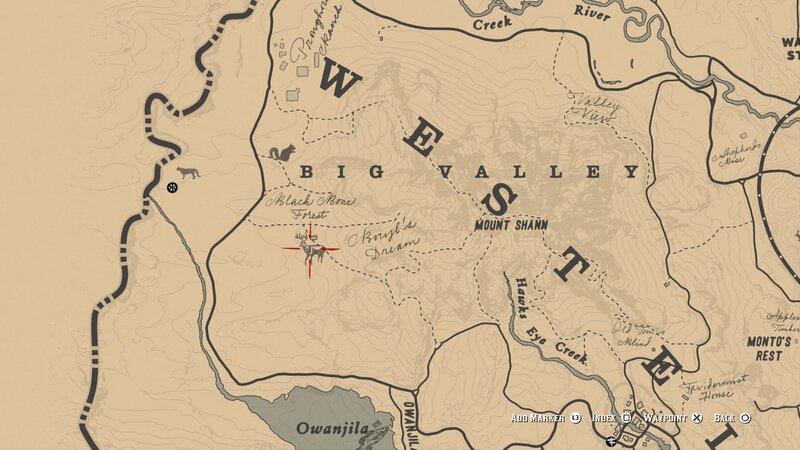 To start with, you’re going to want to head far northwest of Strawberry to find the legendary buck in Red Dead Redemption 2. The creature can be found west of Mount Shann, and east of the sole Trapper in the region. You’ll know you’re in the right area to hunt the legendary buck when a sign pops up in the top left corner of your screen, telling you that you’ve “entered legendary animal territory.” Now, press both the left and right analog sticks to bring up Arthur’s ‘detective’ vision of sorts, which lets him scan the environment for animal clues, which come in the form of light emitting from the ground. Approach any of these points and hold Y/Triangle to examine the clue, be it dung, fur, or hoof prints. 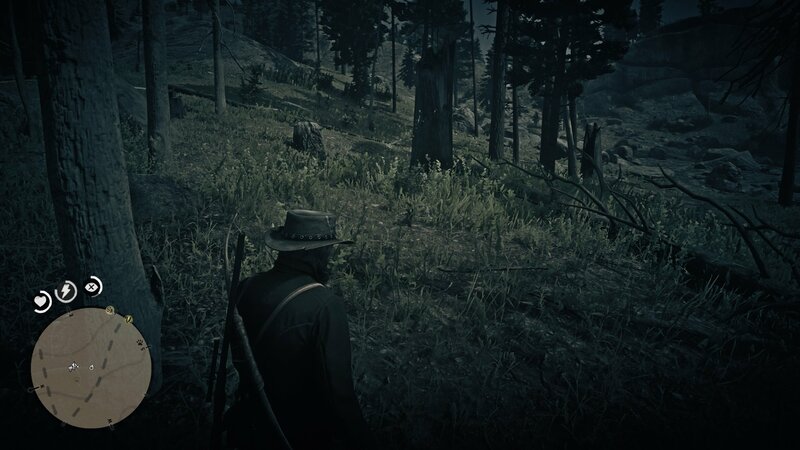 You’ll now see a faint yellow trail laid out before you, leading you in the general direction of the legendary buck. When you come across the creature, remember to kill it quickly before it can scamper, so use Dead Eye to take it down quickly (you can damage the pelt of a legendary animal with excessive force). Legendary Buck & Fox Range Gloves - Costs $28, requires one legendary fox pelt. Legendary Buck Vest - Costs $26, requires one perfect ram pelt. And with that, you have all the information you need to track down and hunt the legendary buck in Red Dead Redemption 2. Now that we’re all done with this guide, you can head over to our Red Dead Redemption 2 legendary animals guide, or our Red Dead Redemption 2 legendary wolf guide.